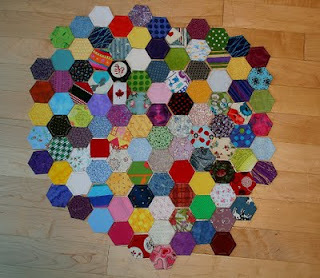 I received 100 - 2.5" hexagons from a lady named Debbe from an online sewing group I belong to. It was very generous of her and I was super excited to receive them. I forgot to take a picture of them on their own and some have been made into hexies already while others are waiting to be done. Below is my hexagon quilt box. 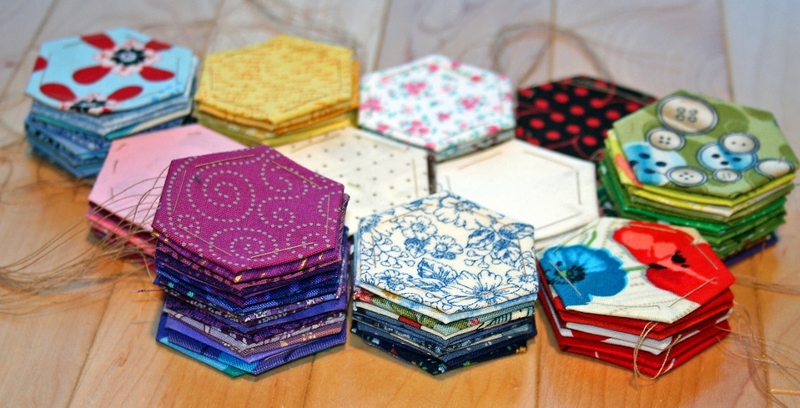 For now, I have both mine and my son's hexagons in a box to keep us organized. 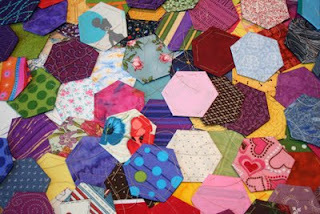 I am using paper pieces to form my hexagons, basically like this. 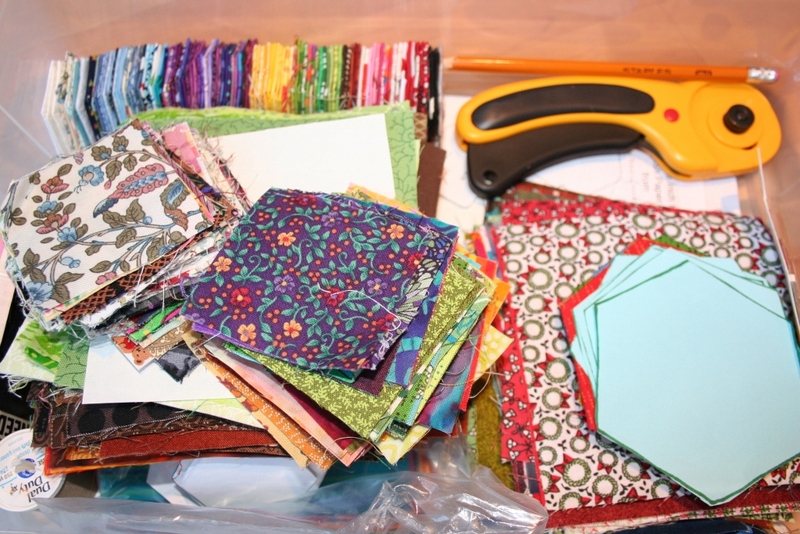 I am not cutting my fabric squares into hexagons though, I am keeping them squares. I will have to take a picture of the process later. 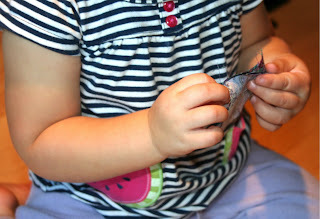 For my 1 inch hexies I am using the printout from Texas Freckles that she supplies here. For the 2 inch hexies I used the hexagon generator, but it only gave me 2 hexies per sheet, so I made this, it is not very professional, but it prints 5 - 2 inch hexies on a sheet. Looks more impressive all laid out doesn't it? 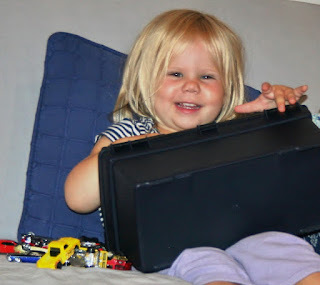 I do have a little helper that likes to join me.